It's not often when I accidentally make up a recipe which involves me scoffing down the product of my labours, instead of scraping it into the bin. 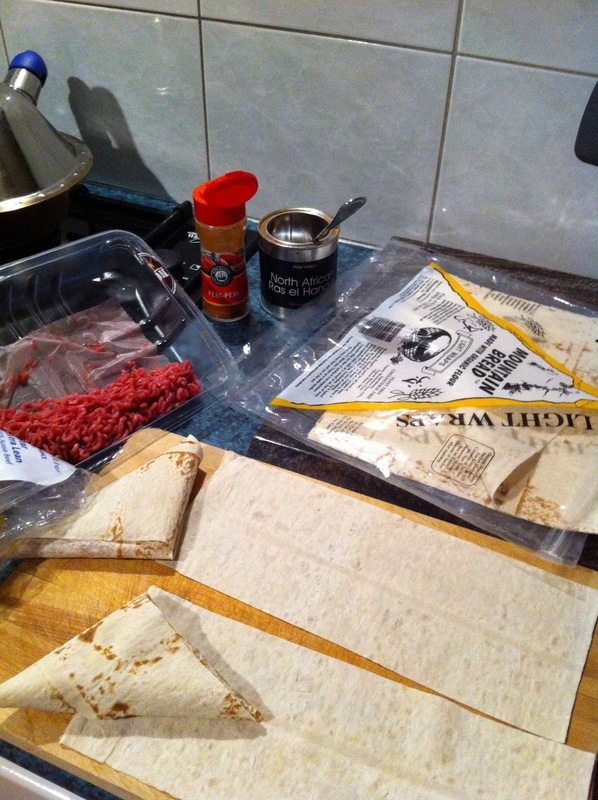 So I'm excited to bring you my North African spiced minced meat parcels! With a very helpful step-by-step pictorial guide to boot. The inspiration actually came from a packet of thin flatbread I came across at my local Coles supermarket, when shopping around for a dinner party. 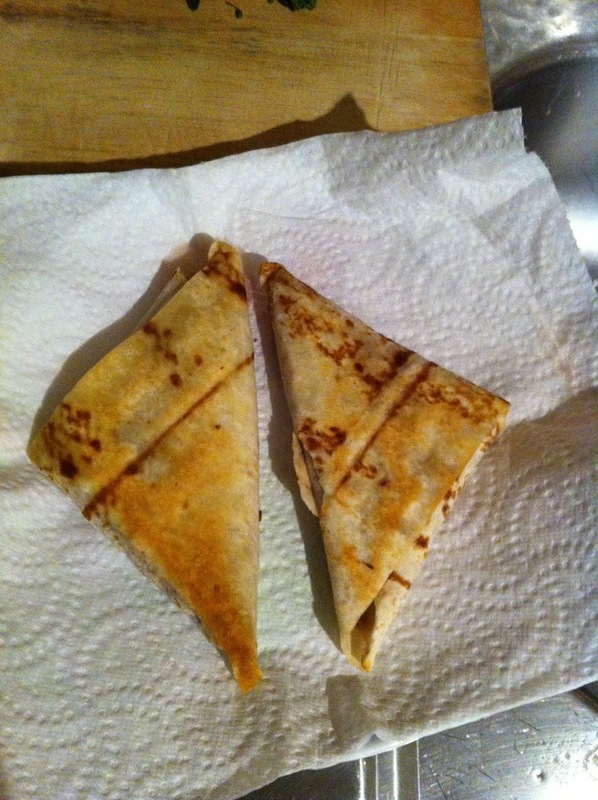 There was a recipe idea at the back of the packet which suggested that you cut a piece of the square flatbread into 3 strips, and then fold them into triangles around a parcel of minced meat. 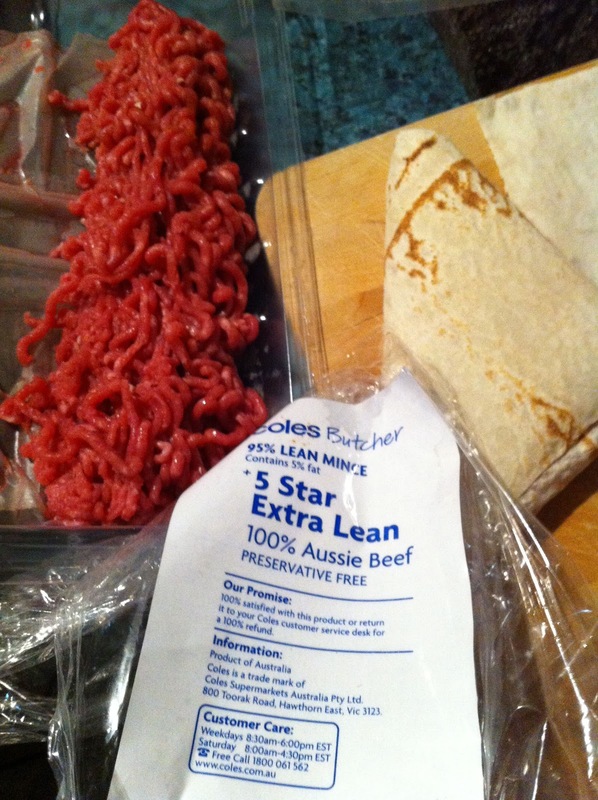 This was serendipitous, because I was eyeing off the most delightful looking 5 star lean minced beef in the Coles meat section (hormone free, of course, and two 500g packs for a very affordable $13), and wondering how I was going to incorporate that in my cooking. So I get home and think - now how am I going to make this dish interesting? Fortunately, I remembered my tin of North African Ras El Hanout, an amazing and aromatic blend of spices, including cinnamon, cloves, and what have you (I'm told that there are many variances in Ras El Hanout recipes, depending on family tradition, region, etc). And because I like things spicy, I also bring out my Peri Peri powder and bottle of Scorpion Chilli's Rectal Tears, a most potent chilli sauce made from the hottest chilli in the world - the bhut jolokia (which I procured from Araluen's Fremantle Chilli Festival earlier this year). 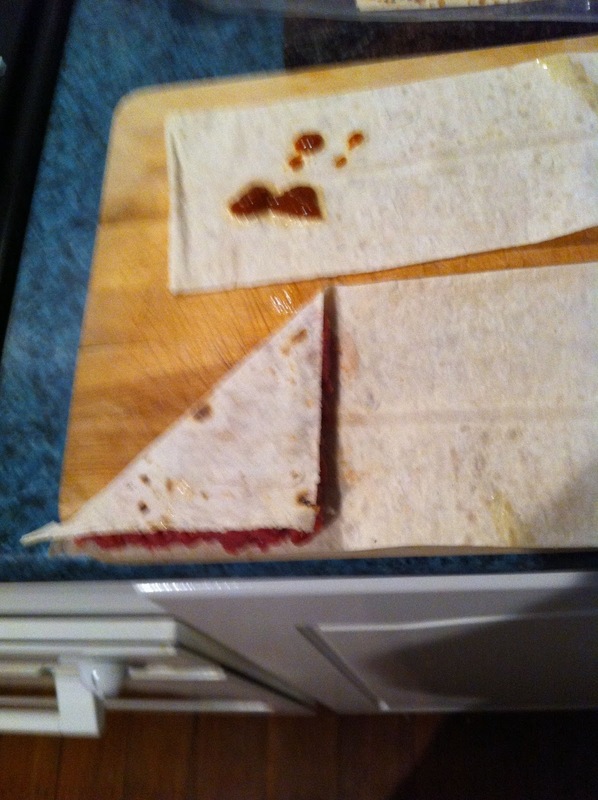 Slice the flatbread into 3 equal-size strips. Add a small lump of minced meat, followed by a generous pinch of Ras El Hanout and grind some salt and pepper over it to taste. 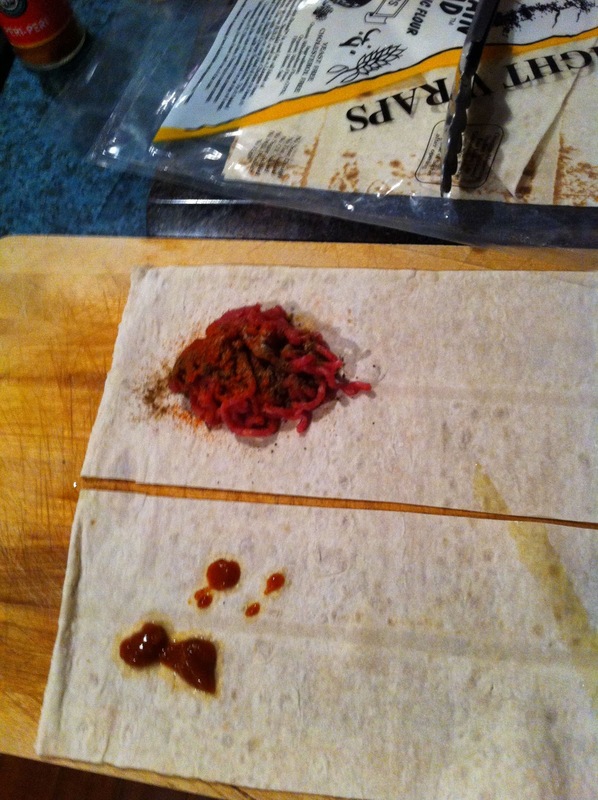 Add a bit more meat on top of that, and using your fingers, mix it all roughly together. Don't worry about mixing everything thoroughly - it all comes out in the wash. 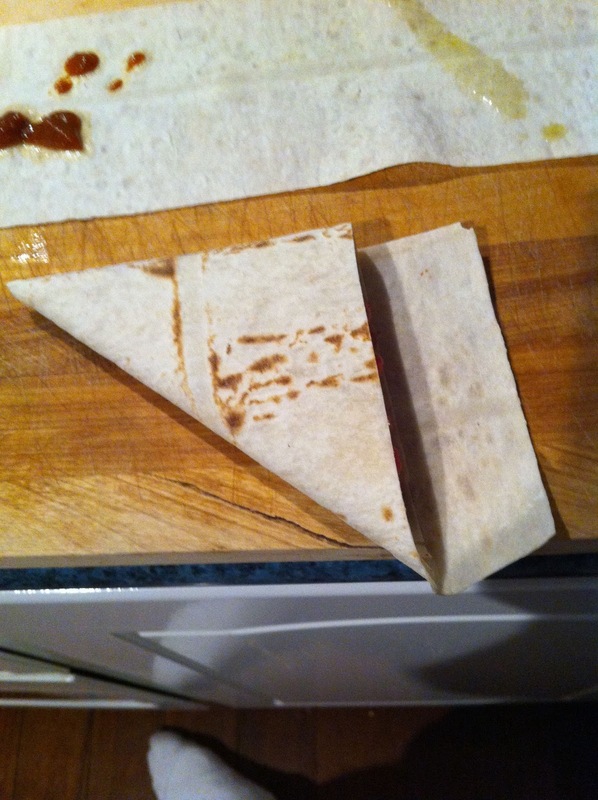 Fold each strip over the meat into a triangle - it helps to hand-shape the meat to fit into the first triangular fold. 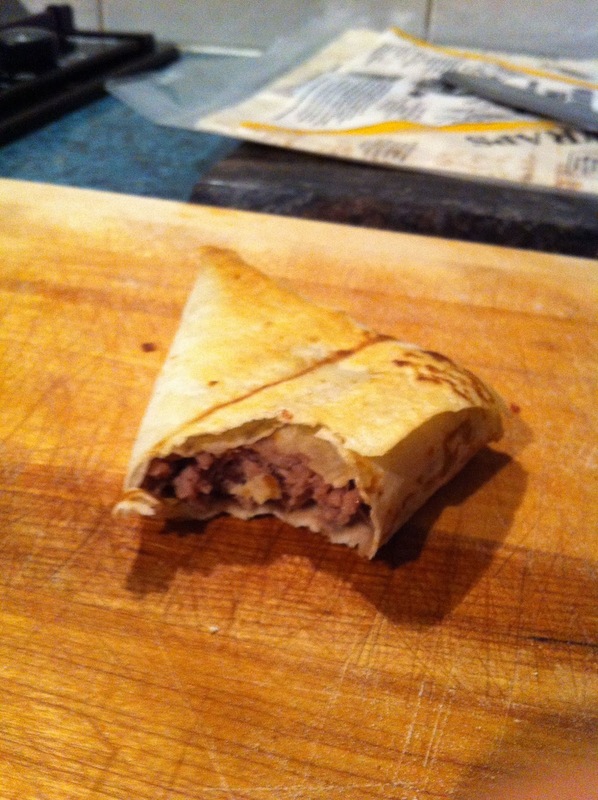 Fill up the little triangular pocket with meat until it's flush with the edge, then tuck the loose flap in. Repeat as many times as you want/need. From memory, I got about 20+ parcels with 500g of minced meat and one packet of flatbread. Heat up a saucepan or frying pan on the lowest heat setting, and add enough olive oil to cover the surface. 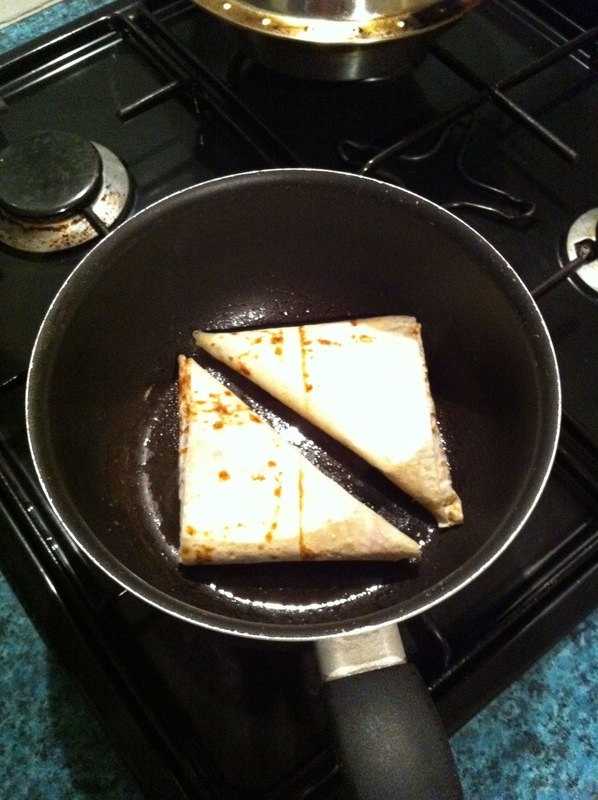 Once the oil is hot, add as many parcels as can fit, but make sure that they lie flat on the cooking surface. Leave it there for a couple of minutes (I cook by the vibe, so I don't have precise timing - Dennis Denuto has a lot to answer for), then take the parcels out, add more oil, and lay them in the pan on the other side. The oil is important, because it helps make the parcels crispy. Use too little and they don't crisp enough. Use too much and they get soggy - but it's your call ultimately. Experiment until you reach a point that you're happy with. Once juices begin to run (you'll hear the tell-tale sizzle on the pan), it means that your meat has just been cooked through. Don't overcook it, because you'll end up with unhappily dry mince. You want to achieve that delicate balance between meat that is cooked through, but is still juicy and tasty. You will also happily discover that these parcels are now lightly crisp. Withstand the urge and don't try to eat it just yet, because a burnt palate just won't be able to properly savour this delicious morsel. 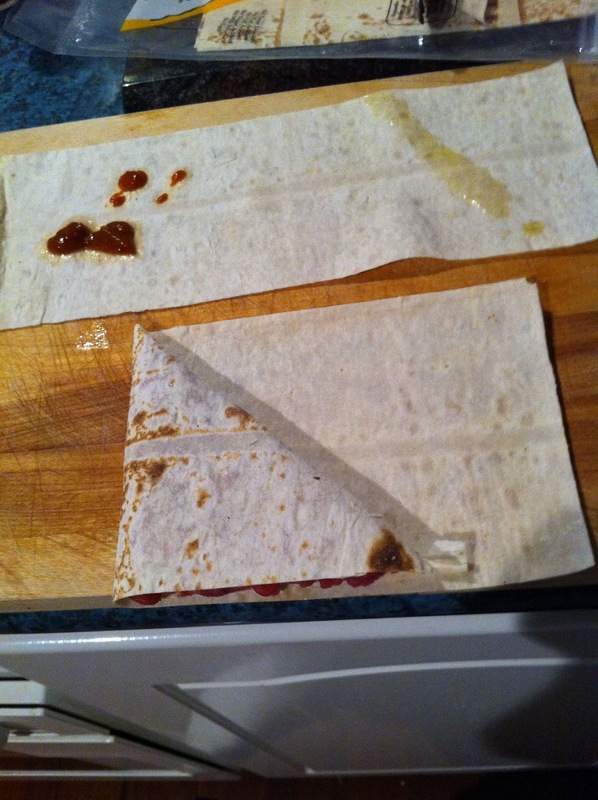 Transfer the freshly cooked and crispy parcels onto a paper towel to soak up the excess oil and the runny juices that escape, to ensure a crispy finish. Keep cooking until it's all done. 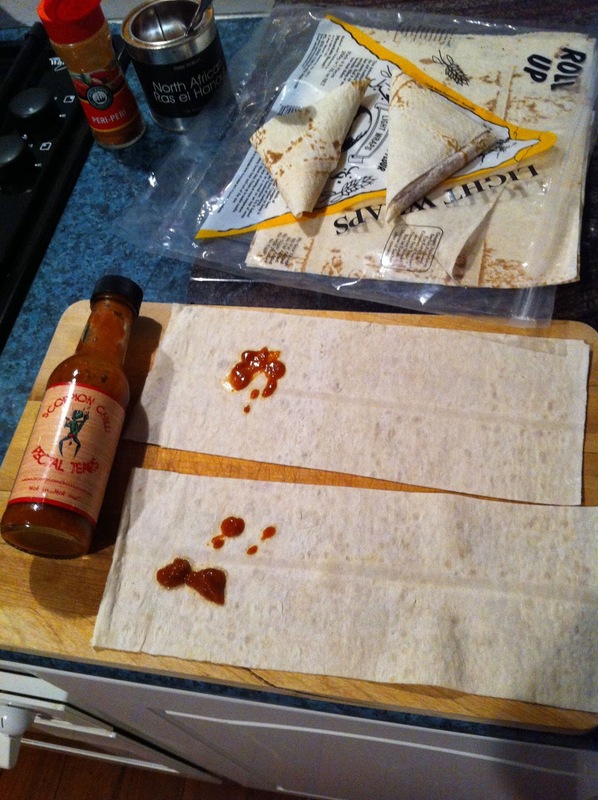 For extra flavour, drizzle each parcel with a modest dollop of kecap manis (a thick, sweet, soy sauce). These parcels were a delicious, multi-layered discovery of flavour and texture. On first bite, you enjoy the juxtapositioning of the light crispness of the wrapping, immediately followed by the soft, succelent meat within. 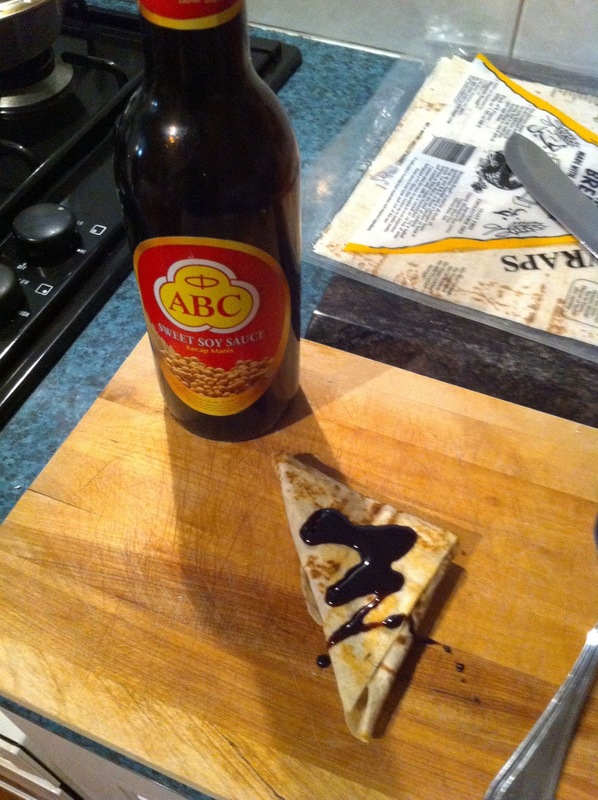 Then the rich sweetness of the kecap manis kicks in with that immediate pay-off, and you chew for a second or two before you realise the exotic cinnamon-nutmeg-clove of the Ras El Hanout slowly emerging from beneath the surface like a siren from the water (imagine Denise Richards in Wild Things; or if you're a bit older, Ursula Andress in Dr No - yes, yes, that's right). And while you're mesmerised, the Rectal Tears sting you just when your eyes are half-shut in pleasure (since that is of course best enjoyed with some pain). And the flavour just lingers on. Oh the joy. You can of course feel free to experiment with variations - maybe add some chopped up onions. Or chillis. Or use lamb, chicken or pork mince instead. Or some other spice. Try another Moroccan mixture. Or Chinese five spice. The possibilities abound. And feel free to share this recipe around - it's quick, easy, healthy and nutritious. And most importantly, delicious. I don't even care if you claim the credit for a variation of the recipe as your own, but it would be very nice of you indeed to link to my blog. Good coffee in Africa - an oxymoron no more!